Meijer Mid-Week 2 day sale! 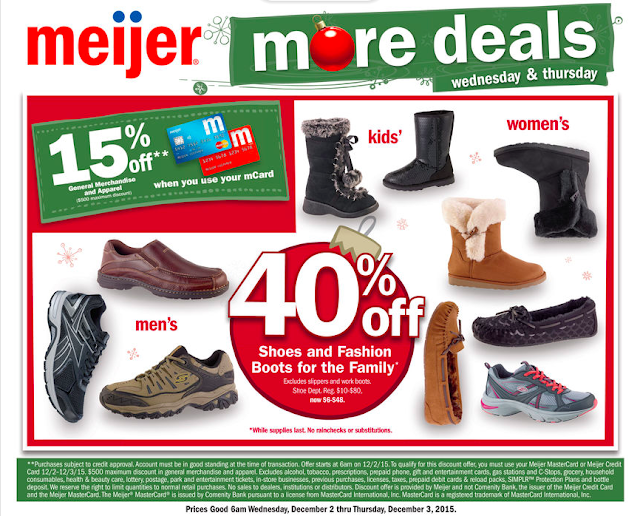 Meijer 2 day sale starting Wednesday 12/2-12/3! Check out the ad here!